After the establishment of Soviet power in Azerbaijan in 1920, art of a new type began to appear in Azerbaijan. 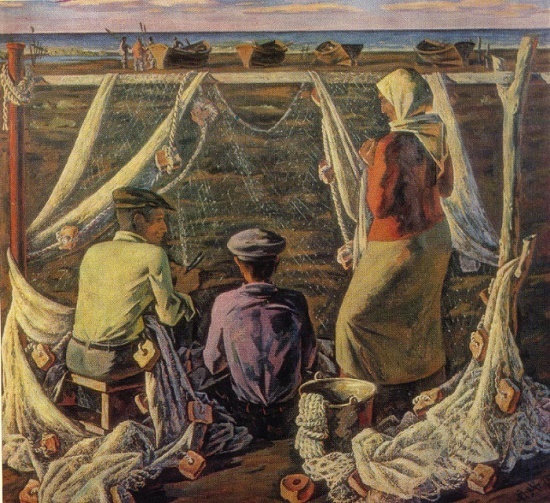 And in 1920, opened the first art school in Baku, where created the new genres of fine art. 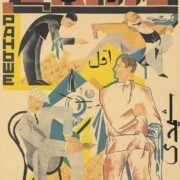 Meanwhile, in the 1930s, such graphic artists as Azim Azimzade, G. Khalygov, I. Akhundov, A. Hajiyev, M. A. Vlasov, K. Kazimzade, A. Mamedov and others worked in the graphics area. 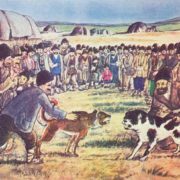 They created illustrations for the books of Azerbaijani and foreign writers and drew posters on actual topics of the time. 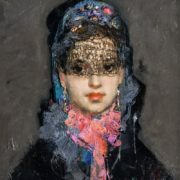 Already in 1928 the first creative exhibition of the Azerbaijan Society of Young Artists took place. And the 1930s exhibition of the Azerbaijan Union of Revolutionary Fine Arts enjoyed success. The most interesting were drawings of S. Salamzade, G.Khalygov, A.Rzaguliyev, devoted to actual topics. 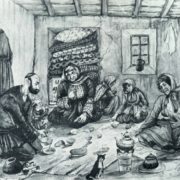 Besides, in 1932 a committee of Azerbaijani artists was established. During this period appeared works by S.Sharifzadeh “Harvesting of grapes”, “Portrait of A.Azimzadeh” by G.Khagverdiyev, and “Portrait of Nizami Ganjavi” by Gazanfar Halygov. Noteworthy are the works of Mikail Abdullayev, B. Mirzazade, B. Aliyev, Sattar Bahlulzadeh, and K. Khanlarov. 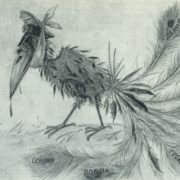 Also, took place the first congress of Azerbaijani artists held in 1940. 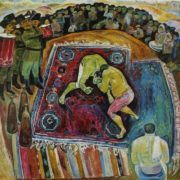 During the Second World War, the soviet Azerbaijani artists created political posters and satirical caricatures. Among them – A. Azimzade, G. Khalygov, I. Akhundov, A. Hajiyev, and S. Sharifzadeh. 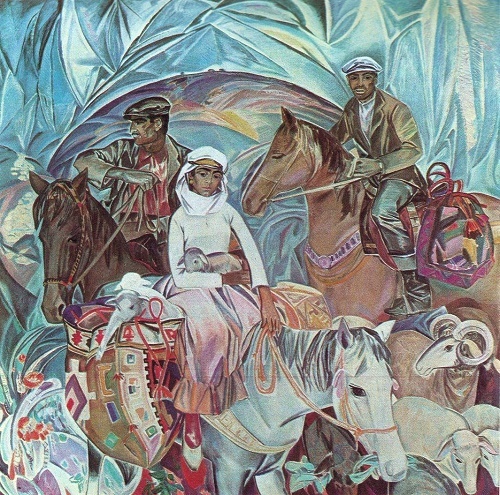 The stage of artistic maturity came to Azerbaijani fine arts in the mid-1950s. 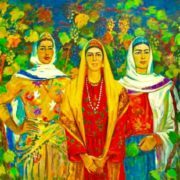 In the second half of the 20th century such artists of Soviet Azerbaijan as Mikayil Abdullayev, Tair Salakhov, Vidadi Narimanbekov, Sattar Bahlulzade, T. Narimanbekov, N. Abdurrahmanov, etc. became famous. In the works of B.Aliyev, L.Feyzullayev, A.Mamedov, A.Verdiyev and others we find their reflection of the theme of labor and industry. The themes dedicated to the historical past, customs and traditions of the Azerbaijani people, the themes of war and peace are in the work of E.Rzaguliyev, V.Narimanbekov, T.Sadigzade, A.Huseynov, K.Najafzade and others. 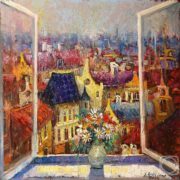 Successfully manifested himself in the field of easel graphics and book illustrations Maral Rahmanzadeh – the first Azerbaijani who received a professional art education. One of the famous Azerbaijani landscape painters, who portrayed the beauty of nature of Azerbaijan, was People’s Artist of the Republic Sattar Bahlulzade. Among the portraitists of that time are S. Salamzade, T. Tagiyev, V. Samedov, Sh. 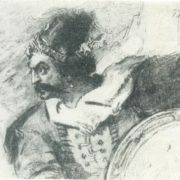 Sharifzade, O. Sadigzade, Najafgulu, A. Kerimov, G. Mustafayeva, O. Aghababaev, G. Zeynalov, G. Kerimov, S. Mamedov, Charles Farsaliev, etc.